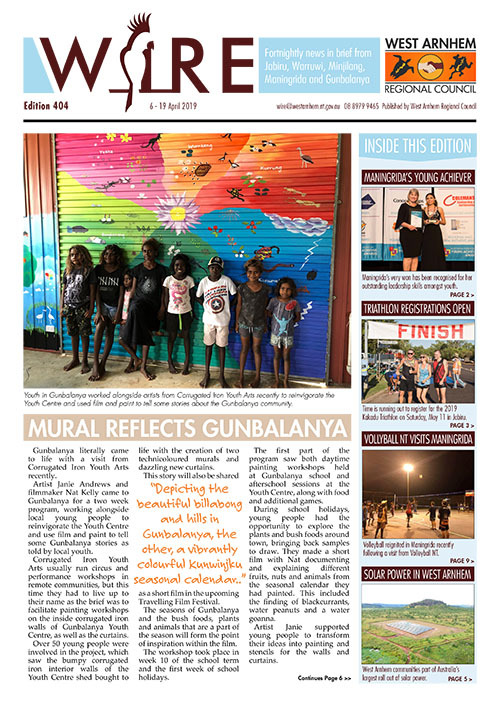 West Arnhem Regional Council publishes The Wire, the only regular source of local news and information in Jabiru, Warruwi, Minjilang, Maningrida and Gunbalanya. For enquiries on how to advertise in The Wire, or to submit a story, email wire@westarnhem.nt.gov.au or telephone 08 8979 9465 (mobile 0459 060 370). Get your free issue of The Wire straight to your inbox.